Max Aarons was shown a yellow card after shoving Declan Rudd to the floor as tempers flared at Deepdale. 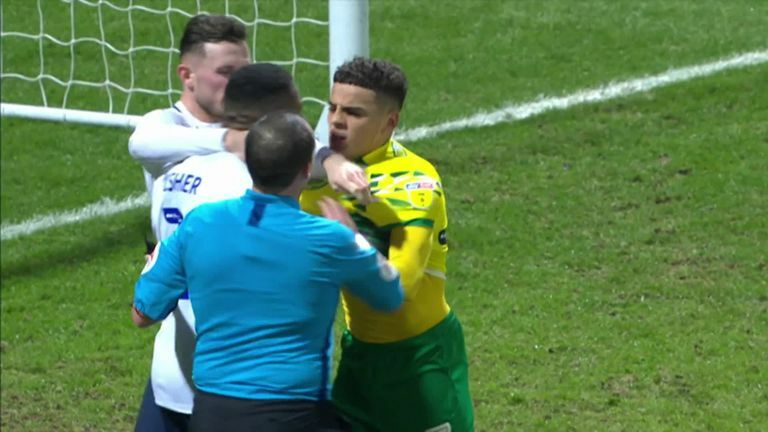 Teemu Pukki had just scored a late consolation goal for Norwich in stoppage time of their Sky Bet Championship clash, and as Rudd tried to hold onto the ball teenage right-back Aarons shoved him out of the way to try and get play restarted. 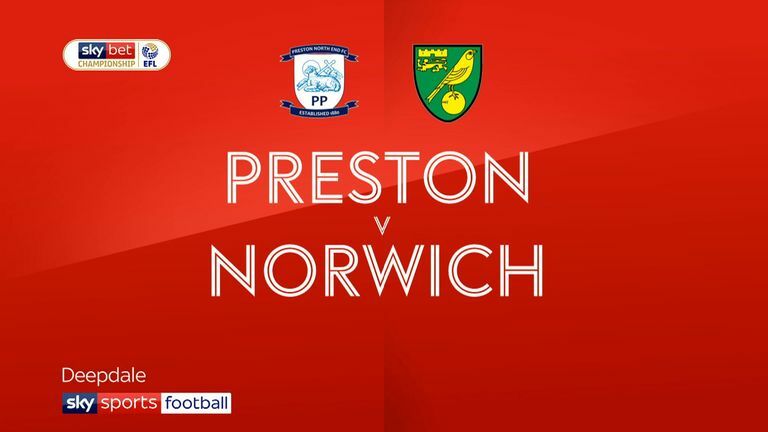 Highlights of the Sky Bet Championship match between Preston North End and Norwich City. It was a frustrating night for Norwich, who started the night top of the table but goals from Ben Davies, a Paul Gallagher penalty and Sean Maguire meant Preston claimed all three points. Leeds climbed above the Canaries after beating Swansea at Elland Road, to compound Norwich's misery. Hit play on the video at the top of the page to see tempers flare at Deepdale!